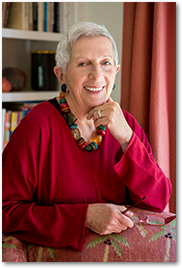 Led by Marilyn Burns, founder of Math Solutions, the members of the author team are all Math Solutions instructors with extensive experience teaching in the classroom and delivering professional development. Marilyn Burns is one of today’s most highly respected mathematics educators. Over the course of 50 years, Marilyn has taught children, led in-service sessions, spoken at conferences, contributed to professional journals, written more than a dozen books for children, and created more than 20 professional development resources for teachers and administrators. In 1984, Marilyn formed Math Solutions® Professional Development, an organization dedicated to the improvement of math instruction in Grades K–8. Working with a highly qualified team of in-service leaders, Marilyn offered specialized courses to teachers and administrators nationwide. Soon after, Marilyn began writing and publishing to further support teachers and to provide districts with the resources they needed to implement in-depth and long-lasting change in their schools. Her series of resources includes Math, Literature, and Nonfiction; Teaching Arithmetic; Lessons for Algebraic Thinking; and A Collection of Math Lessons. In 1996, Marilyn received the Glenn Gilbert National Leadership Award from the National Council of Supervisors of Mathematics for her influence on mathematics education. The nominators took special note of Marilyn’s humor and compassion, saying, “Few professionals have touched and inspired so many math educators. She has taught us several important lessons... We must treat teachers with respect, honesty, and a thoughtful vision. We must turn to student work to make sense of student understanding and achievement.” In 2007, Marilyn developed Do The Math, a 13-module intervention program that focuses on Number and Operations. Do The Math targets addition and subtraction, multiplication, division, and fractions. In 2011, Marilyn developed Do The Math Now!, extending Do The Math to serve students in Grades 6 and up. Also in 2012, Marilyn developed Math Reads, a program that helps teachers use children’s literature for teaching mathematics. Marilyn’s most recent contribution is a web-based middle school formative assessment tool, the Math Reasoning Inventory (MRI), funded by the Bill & Melinda Gates Foundation. Marilyn continues to teach regularly in the classroom, finding the experience essential to developing and testing new ideas and materials. Watch Marilyn Burns discuss developing students' numerical understanding and skills.